Nagashi somen: catch your noodle! There are many fun things to do in Japan, even with food. Eating can be a very fun, interesting and different experience. If you believe your chopsticks skills are good, you should try Nagashi somen. 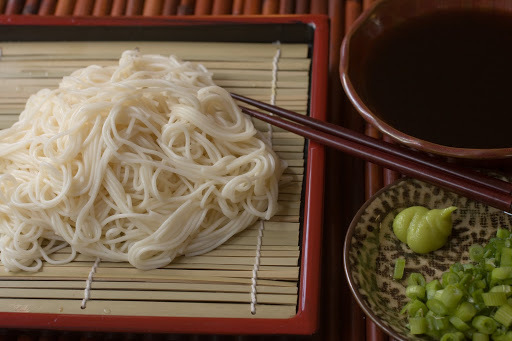 Somen noodles are a type of thin wheat noodle usually eaten cold. It is served at traditional restaurants and japanese people also make them at home. It is served with tsuyu (a katsuobushi-based sauce than can be flavored with other ingredients). Nagashi somen is a summer tradition practiced at festivals or some restaurants. Also, families or friends can make their own bamboo pipes and live the experience. 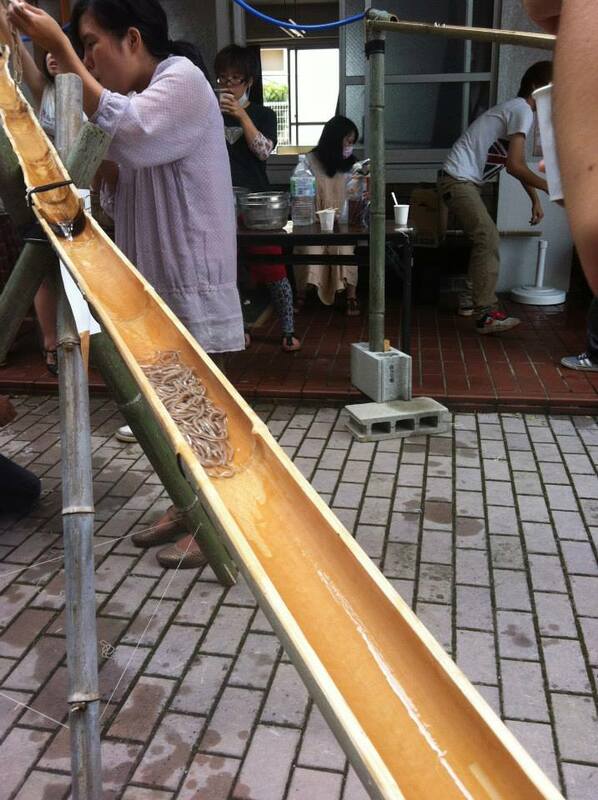 It consists on somen put in water flowing along a long bamboo pipe and people need to catch the noodles with their chopsticks, dip them in the tsuyu and eat! 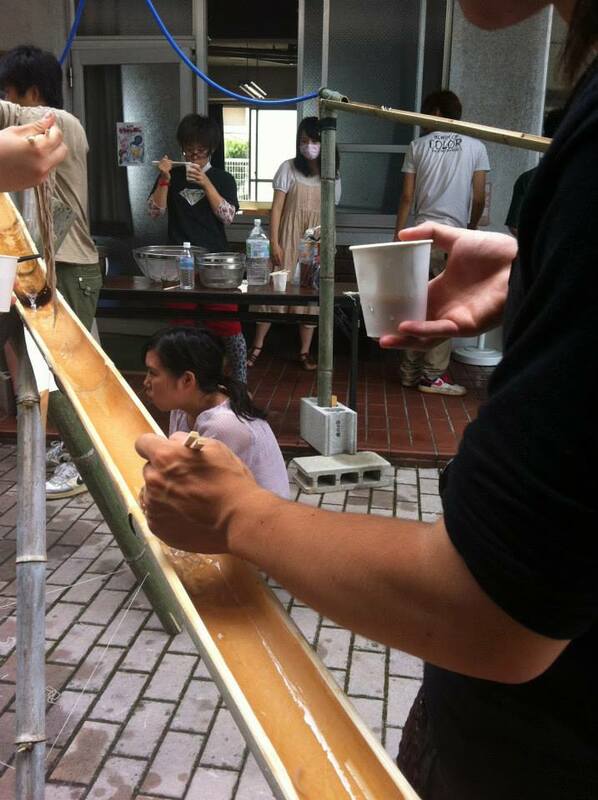 We had the chance to try this experience thanks to the students and teachers of Chugoku Design College. They cut and made their own bamboo pipes and organized an activity to eat and have fun! You need to be fast, because noodles can go down very quickly through the pipe! If you lose your noodle, you will be hungry! So take your chopsticks, prepare, set and go to catch your somen noodle! Wow, I didn’t know about this! It looks so fun! What happens to the noodles that people don’t catch? The noodles that are not caught go to a bowl on the end of the pipe. Sometimes they can be reused and thrown on the pipe again! It was a really fun thing to do, you should try it next time if you come to Japan in summer time.